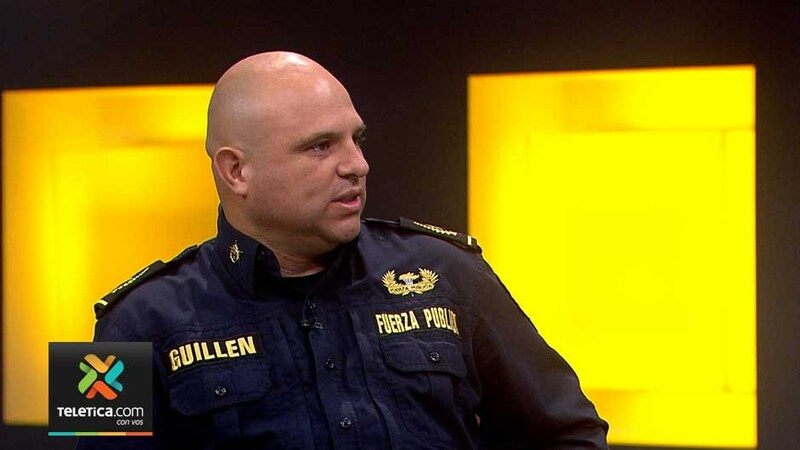 QCOSTARICA – In an interview with Telenoticias, Freddy Guillen, head of the Intelligence Department of the Fuerza Publica (Police) shared some facts about the crime situation in the greater metropolitan area, mainly by pointing out some really bad areas when it comes to assaults. Guillen said that according to the Organismo de Investigación Judicial (OIJ), two districts in downtown area of San Jose had the most crimes filed. Click here for the 7.5 minute video of the live interview. The first, with 586 assaults in 2015 was Distrito Hospital: Paseo Colón, Barrio Don Bosco, Barrio Los Ángeles and Barrio Cuba. The second, with 479 assaults was Distrto Catedral: Barrio Luján, Barrio San Cayetano and Barrio La Soledad. The majority of the crimes (as reported in those areas) were committed between 8:00pm and 9:00pm. A handgun was the preferred weapon of assailants. Fighting off their assailants cost 66 people their lives, while 12 assailants were killed when the victim fought back.